Could it be that President-Elect Trump supports statehood for the District of Columbia? Throughout the campaign, and as recently as 2015, when Trump was on NBC’s Meet the Press, he’s said that when it comes to the question of statehood, he would be in favor of “whatever is best for them,” referring to the people of D.C. He has, he believes, been engaged in his own brand of outreach to the African American community. Where better to solidify this outreach and engagement than in what after January 20th will be his new backyard? District of Columbia residents, once again, proposed the question of “what was best for them” this past Tuesday. The ballot measure clearly laid out specific next steps: Voters would agree that the District should be admitted to the Union as the state of New Columbia, approve a constitution to be adopted by the Council of the District of Columbia, set the boundaries, and agree that the State of New Columbia would guarantee an elected representative form of government. On Election Day, with 143 districts reporting, 86 percent—or 227,562 residents—voted yes, with 14 percent or 37,558 saying nay. Clearly, the yeas are in the majority, and steps could be taken to encourage many of the nearly forty thousand nays to come under the statehood big tent. The next step for the passed petition is to ask Congress for an up or down vote. Mayor Muriel Bowser promises to have a petition for D.C. statehood to the President-elect and congressional leaders by Inauguration Day. Still, during that same Meet the Press interview, the now-president-elect also stated he would look at a number of things and whatever would be done should be “something where everybody would be happy.” Does that definition of “everybody” comprise D.C.’s residents, or the nation as a whole? If the latter, it opens a whole set of time-consuming issues. 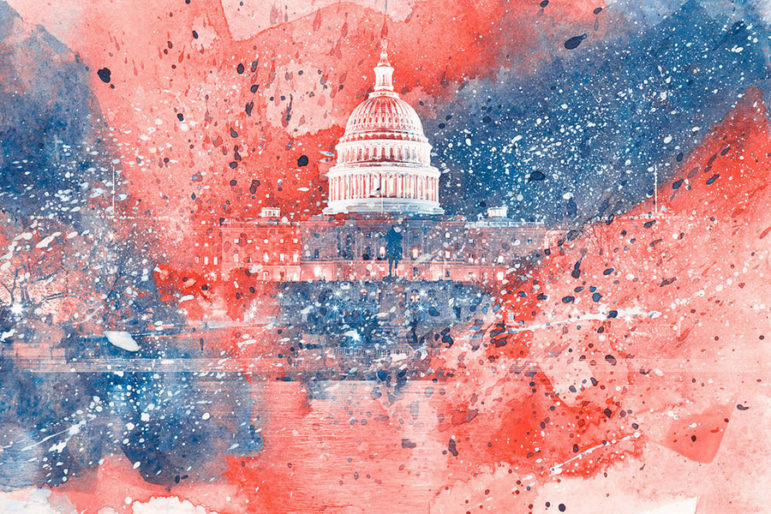 Political junkies nationwide tend to tie their support of statehood for the District to their political leanings generally; if you’d welcome more Democratic governors, senators, and congressional representatives, you probably back the move. Another category of outsiders with opinions can be described as historical or governmental purists. They believe the government’s work should be conducted unfettered by the political machinations that take place in every neighborhood. (All politics is local, after all.) In fact, the ballot question posed on November 8th took pains to ensure the proposed state of New Columbia would include a federal district for the government’s work, with government buildings and monuments, kept separate from the new state’s residential area. In Washington DC, a lawsuit alleges that gentrification was not merely a matter of “market forces” but of explicit government policy.